It's only late April, but it's already looking like it may be the summer of livestreamed concerts. 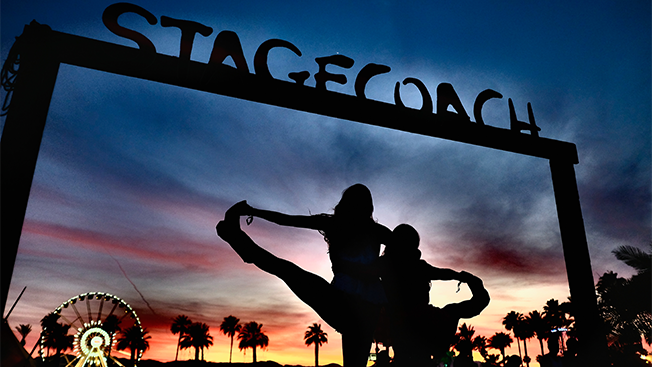 Just one week after T-Mobile sponsored YouTube's livestream of Coachella, Toyota is testing out a similar feature on Yahoo and Tumblr this weekend at the country music festival Stagecoach—Coachella's sister event that's expected to draw 75,000 attendees. It's the first time that a brand has sponsored a livestreamed concert on Yahoo-owned Tumblr specifically (although Toyota also ran ads during Tumblr's livestream last year that was part of the NFL-Yahoo deal). Brands like 7UP have also worked with Yahoo to sponsor footage from concerts such as the Electronic Daisy Carnival. This time, Toyota and agency Saatchi & Saatchi Los Angeles specifically zeroed in on the millennial-focused social network because 75 percent of its traffic is mobile. "We decided to livestream on Tumblr to support our 'Music Moves You' blog, which we recently launched and plan to promote throughout the year as the main platform to house unique Toyota Music content," said Nancy Inouye, national media manager at Toyota. "Being able to provide premium live video and access to one of country music's biggest events helps us amplify our presence in the music space in a way that centrally features our brand." Inouye declined to say how many people she expects to watch the online stream, but said the brand expects to reach "millions" this weekend. Toyota bought Yahoo promos and Tumblr's Sponsored Day Takeover ad unit that sits atop the site for 24 hours to promote the stream. The video player includes Toyota branding at the top of the page, as well as 30-second pre-roll and shorter "bumper" videos that run before content begins playing. Both livestreams start today and run through Sunday. Live footage can be watched from roughly 2 p.m. to 11 p.m each day, depending on when sets end.